When we think about preparing our harvest for winter storage, canning is the option that usually comes to mind. Just about any fruit or vegetable can be canned for winter use and canning represents an effective method of reducing our dependence on commercial produce production in the off months. Another preservation method that in many ways is more effective than canning is dehydration. Dehydrated foods store at least as well as canned goods and may very well be the more resilient option when it comes to food preservation. Let’s take a look at some of the benefits dehydrated foods offer over canned and even frozen food preservation methods. Storage Space – Canning requires hundreds of jars that need to be stored somewhere. If you are aiming for totally self-sufficient food storage, think about the sheer amount of food you need to store and how much space that food takes up in your pantry. Dehydrated food can be stored in much less space. Here’s an example: 2 pounds of mixed vegetables are reduced to approximately a ½ quart freezer bag that weighs practically nothing. This is because most fruits and vegetables contain between 70% – 95% water. By removing this water you are effectively shrinking your food sources to between 5% – 30% of their normal size. How much more food could you store in your available space by dehydrating instead of canning? Lower Cost – Dehydrating food also costs less. 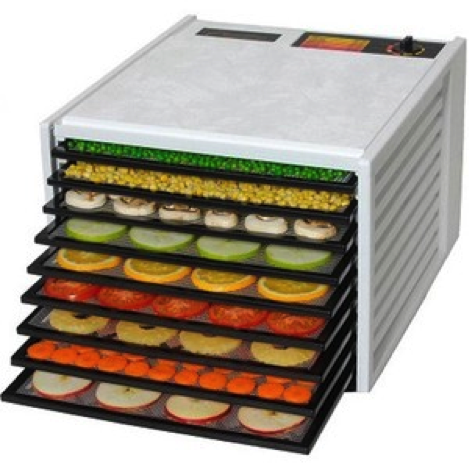 The only requirement to successfully dehydrate food is a dehydrator. You can purchase a commercially available electric unit or opt to create your own solar dehydrator. Either way, you’re not buying glass jars or paying to keep a freezer running year-round. 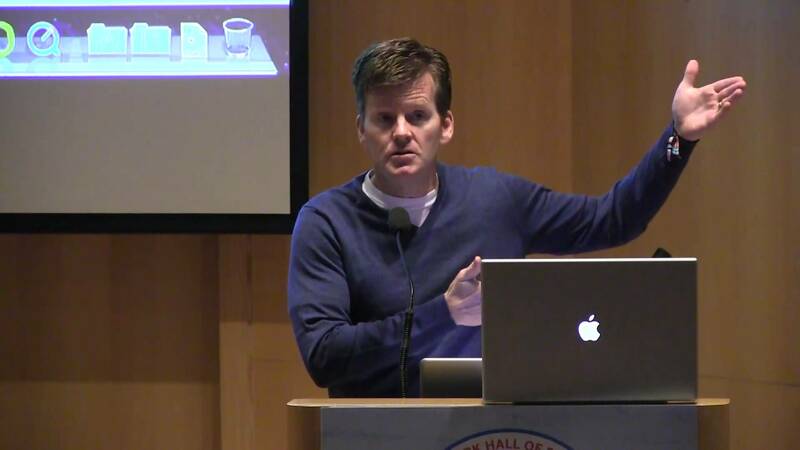 Less Time – Dehydration is also a much quicker preservation process. You do not need to sterilize jars before use and most foods are completely dehydrated and ready for storage within 6 – 12 hours. Higher Nutritional Value – By its very nature, canning destroy some of the nutritional value of your foods because of the high temperatures created during the canning process. Dehydration eliminates this factor so your foods are healthier. Length of Storage – It’s safe to say that dehydrated foods and canned foods have similar shelf lives that significantly outperform frozen foods. Even if you use vacuum sealing technology, frozen foods simply do not last as long. When you also take into account the potential for power outages that could spoil your frozen food stores quickly, frozen storage is not a very sustainable option. Now that we know why dehydrated food is a better option in most cases, let’s take a look at what’s involved in converting to a dehydrated food preservation model. There are plenty of ways to dehydrate food. The easiest is to purchase a commercially available electric dehydrator. These cost anywhere from $40 – $200+ and make dehydration extremely easy. Using one of these dehydrators, you can expect most fruits and vegetables to be fully dehydrated within 6 – 12 hours. As an added bonus, most of these units only require approximately 500 W of power while in operation; not a significant power drain if you are relying on alternative energy sources in the future. Please note that if you opt for a commercial unit, make sure the dehydrator has a fan to move air around. Some of the cheap ones sold at big box retailers do not include fans and your food will not dry uniformly. 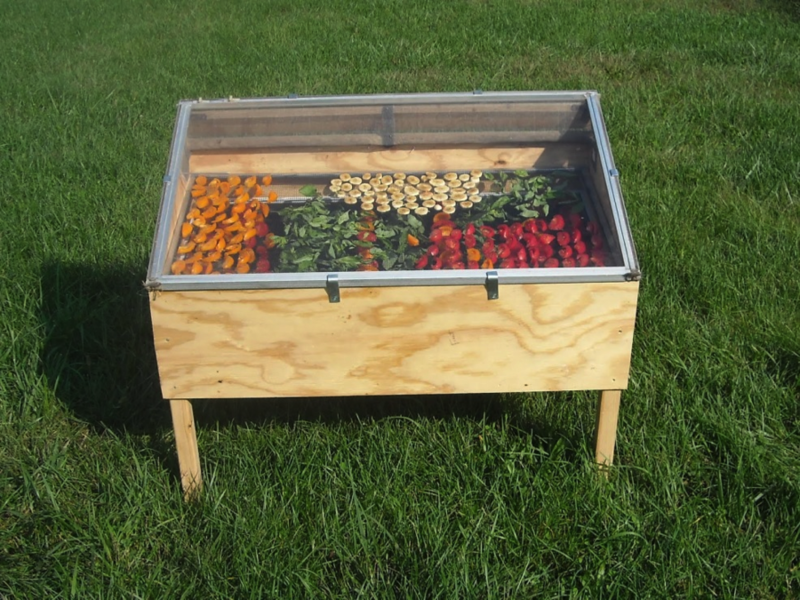 Another option is to DIY a solar dehydrator. These are great because they do not rely on electricity at all. 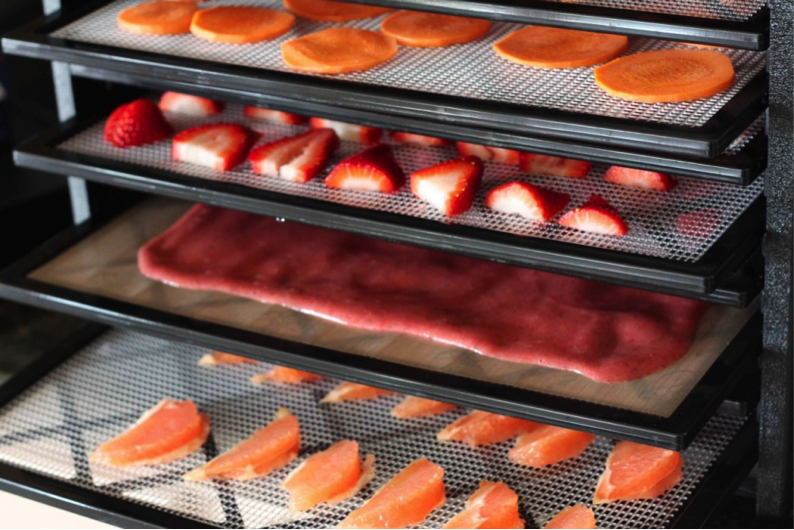 The drawback to a solar dehydrator is it can often take longer for foods to dehydrate properly and like any solar technology; it is dependent on the sun to be effective. What kind of foods can be dehydrated? Fortunately, we can dehydrate practically anything we consume on a regular basis. Fruits, vegetables, and even meat can all be dehydrated for long-term storage. Keep in mind that most fruits and vegetables should be blanched before dehydration. Blanching simply refers to boiling produce for a couple of minutes to kill off harmful enzymes that adversely affect food quality in long-term storage situations. Some foods do not require blanching such as mushrooms, onions and tomatoes. For everything else, a quick bath in some boiling water is all that’s required before dehydrating. If you’re accustomed to canning, you should already be familiar with this technique. Maybe you are reading this and you do not currently have a garden because you live in an urban area or do not have access to enough land to garden at home. Believe it or not, frozen vegetables can be dehydrated very effectively. Simply take your frozen vegetables, place them in the dehydrator, and a few hours later you have vegetables that are ready for long-term storage. This makes it practical for everyone to dehydrate food regularly. Once properly dehydrated, fruits, vegetables and meats can be stored for years in most cases. The key is to make sure that your food stores are not exposed to moisture or insects. Also, vigilantly rotate your food stocks throughout the year so you are not storing anything longer than you need to. Dehydrated food preservation offers significant benefits over canning. Does this mean you should line up all your mason jars for target practice? 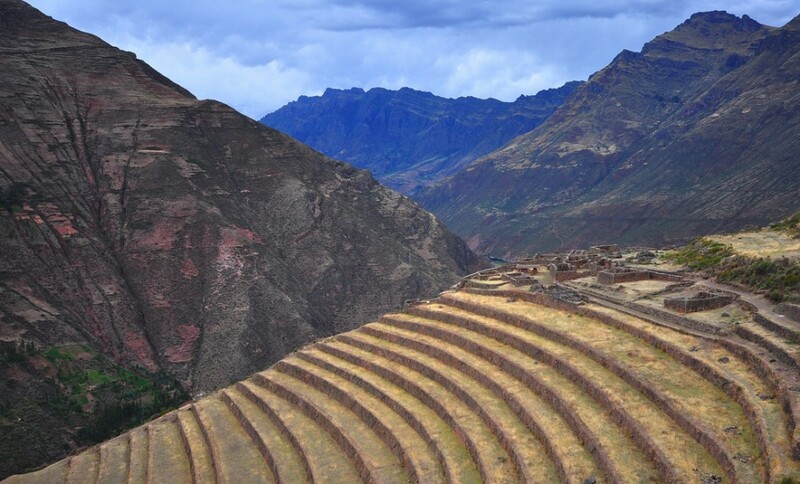 Although the decision is ultimately yours, it seems more logical to incorporate dehydration techniques into your existing food storage methods. Part of being resilient is being able to accomplish a task in a variety of ways. I think it’s safe to say that dehydrated food preservation offers a viable alternative that becomes even more effective when combined with other techniques such as canning and root cellar storage. Is the US Baby Bust Good News or Bad News? 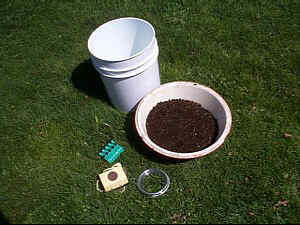 Will Compost Tea Supercharge Your Garden?